Essence of Time Mission in Donbass members delivered medicine to Gorlovka city hospital № 2: over two thousand bottles of expensive “Disol” medicine, a total of over 700 kilograms. 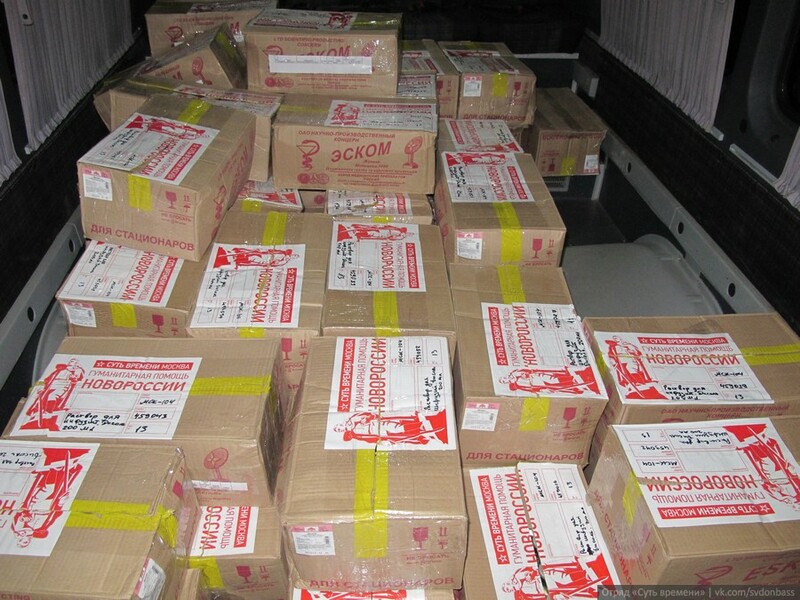 This humanitarian cargo arrived through All-Russian Parents’ Resistance organization and was provided by Russian company “RosPharm”. This entry was posted in News from Ukraine and tagged All-Russian Parents' Resistance, DPR, Humanitarian aid, Russia. Bookmark the permalink.